Industry 4.0 is driving changes in many disciplines. 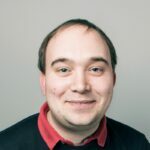 Trends in smart sensor development adhere to this statement and will open the door to new offerings and business models, widening the value chain. It is not the sensor 'alone' but the result of the combination of sensors with IoT, AI and cloud-based solutions that will bear new opportunities. 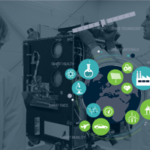 Sensors and technological trends go hand in hand. Sensors and metrology are key in driving technological innovation of today. 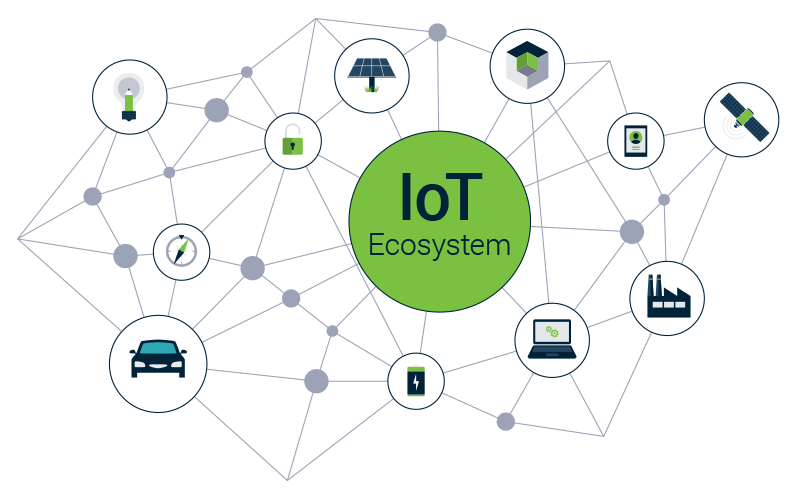 Industry 4.0, IoT, Smart Mobility, autonomous driving, Smart Energy, Smart City, condition monitoring or industrial automation, in these industries sensors are becoming ubiquitous and connected. But what is a sensor anyway? Back then a sensor was just a component producing an electrical signal from a physical value. Easy no? Nowadays, even simple sensors have evolved into intelligent systems with self-calibration, self-control, digitization, signal processing and digital interfaces or even on-board data logging. Today, digital parameter and values indicating an anomaly are transmitted to remote surveillance centers. The next big thing is a smart autonomous sensor system. Here, next to the registration of one or more measured variables, the entire signal processing and power provisioning or even energy harvesting is incorporated in one housing. 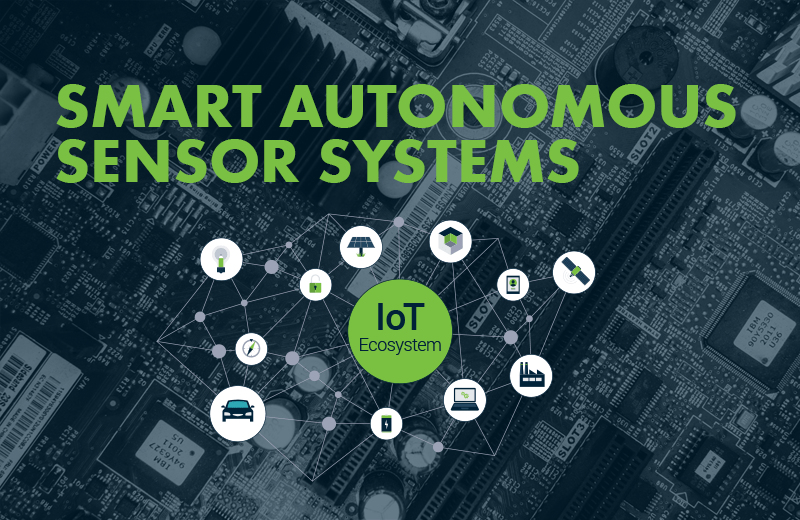 Typically, these smart sensors include a microprocessor with communication interfaces that provide connectivity to other sensors (sensor mesh network) or to a central system (locally or in the cloud). This way, the sensor is able to identify and extract complex, application-specific, useful information from one or more physical property data streams. Thus, sophisticated tasks can be achieved by the sensor without an external computer. And with this, the demand for smaller, decentralized, more reliable, cheaper and more flexible systems can be achieved. But these requirements are never entirely fulfilled and there are future sensor-generations to come which are even better, smaller, smarter, cheaper and more autonomous. 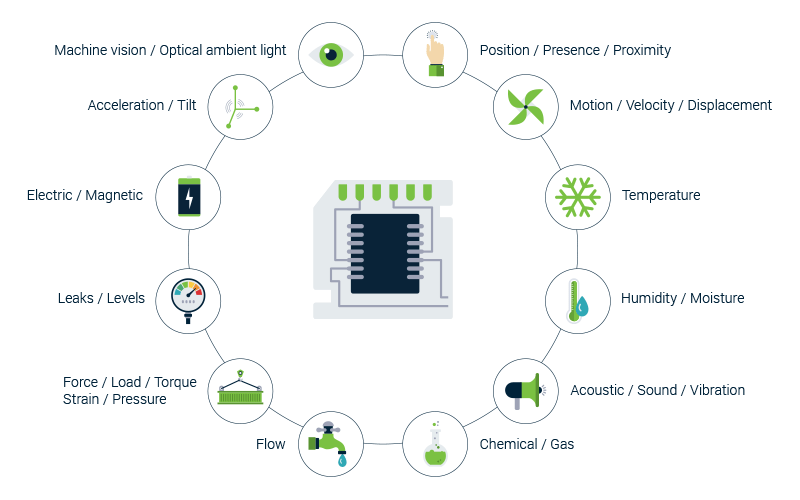 With smart sensors, we mean the intelligent combination of sensor data with other information. Be it the localization through GPS or WLAN or model-based knowledge about the process, so that sensors, along with algorithms, can already decide in the field, which incident needs to be reported. In parallel, the intelligent combination of various sensor data has increased importance. 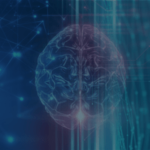 Smart sensor systems allow the users of these systems to widen their own services and offerings through to completely new offerings. 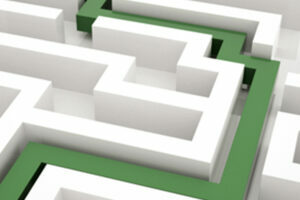 In the future the co-operation within the entire supply chain becomes important. Next to smart sensors, new business models for smart services will become possible by utilizing intelligently data of products and manufacturing. 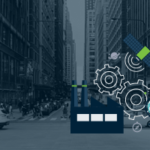 With smart sensors, along with IoT, AI and cloud-based solutions new opportunities arise that only work when the supply chains or industries are connected. It becomes a matter of seeing the opportunities. A recently founded, inspiring place may be the IoT-Innovation space in Munich. This is a cooperation between Deutsche Telekom and IBM. Here it is demonstrated, how applications like smart parking, intelligent waste- and water-management, air quality control and predictive maintenance work. One example is sensor-generated air quality data that are aggregated and combined with weather-prediction-data and traffic-data. With this, users in the city council get insights about air quality and its dependencies and end users can get information about air quality via an app. At Verhaert Masters in Innovation, one of our key competencies is to create smart technical solutions which fulfill the customer needs in an optimized way, which is not available off-the-shelf. To achieve this, we combine multiple disciplines like electronic design, software engineering, algorithm development, simulation, mechanical design and prototyping. Whilst developing these technical solutions, the user and business aspects are taken into account and new value chains are created. Here are 3 examples of smart autonomous sensors. Cars are everywhere around us, growing more performant, efficient and even autonomous. 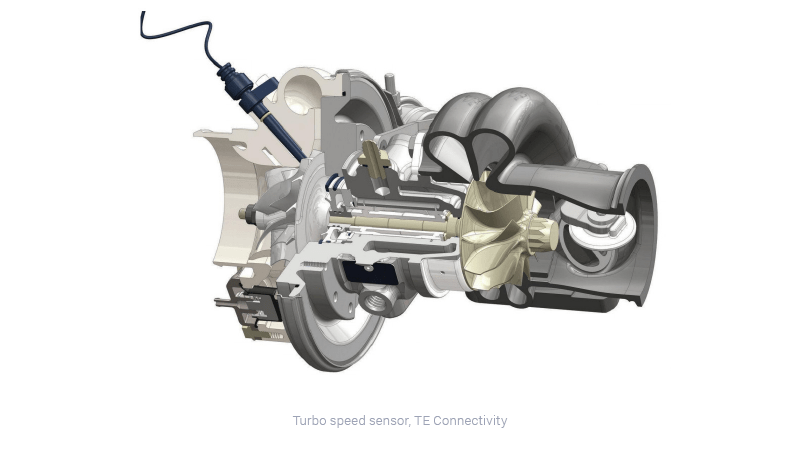 As an automotive part supplier, TE Connectivity is constantly reinventing its sensor portfolio to meet these automotive requirements. One of its new sensors is the turbo speed sensor. The turbo(charger) is a device used to recuperate the remaining energy in car exhaust gases and use this energy to pressurize the engine inlet air. This action is performed using a free-running turbine wheel, of which a maximum speed is not to be exceeded to prevent damage. To find and regulate to the optimum between inlet air pressure, wheel speed and engine performance, the speed of the turbo wheel needs to be measured. In regular cars however, no turbo speed sensor is available, and a high amount of margin is used to prevent this, as no assumptions can be made on the location (and especially the air pressure) of the car, leading to a suboptimal engine performance. The goal of this project is to improve the engine performance of all regular cars by making turbo speed sensors generally available. The turbo speed sensor performs this measurement and transfers the result to a car controller unit. The sensor needs to work from 0 rpm to 320 krpm of an aluminum or titanium turbo wheel. This corresponds to the turbo wheel speed of all existing cars. Especially the low rpm range would be an advantage when compared to the competition. As the automotive industry has high safety and reliability requirements, and the turbocharger environment is hostile to electronics, the temperature requirements were stringent and the sensor needs to comply with OBDII self-diagnostics. Especially the high temperature range mainly limits the component portfolio to passives, transistors and simple micro-controllers. Due to very high volumes, the cost and mass manufacturability were also very important factors. Verhaert used its integrated product design approach (inverse the learning curve) to obtain a sensor solution meeting these challenging product requirements, with limited design effort. This trajectory started with a short study of the turbocharger environment and a sensor technology scouting. This scouting exercise resulted in a shortlist of rotational speed sensor principles, ranked based on earlier experience, applicability and technology readiness level. Examples are: inductive and mutual coupling, capacitive, acoustic, variable reluctance… This list was further reduced by performing simple tests 'fail fast, learn fast', indicating the validity of each of these measurement principles in this application. In the end, only the capacitive and inductive/mutual coupling approach remained. For each of these, multiple implementations were made, consisting of a sensor head and driving electronics. Circuit- and PCB-design were used to optimize each electronics design, where 3D EM-field simulations were performed to design the sensor head. Each of these implementations was functionally tested in combination with a turbocharger, and was graded for each of the requirements. This design approach resulted in a patented mutual coupling sensor implementation, which was not only highly effective but also lean, low power and low cost, as, after optimization, only 2 transistors, a few passives and a single micro-controller were used. As the sensor head needs two angled coils, which has a higher manufacturing cost compared to an inductive sensor head, the cost advantage is slightly reduced. Still, the high output signal quality, leading to low post processing requirements, reliability and versatility makes this sensor design able to cope with tomorrow's challenges, both in automotive as well as in other industries. Corrosion is one of the main causes for failing heating systems. 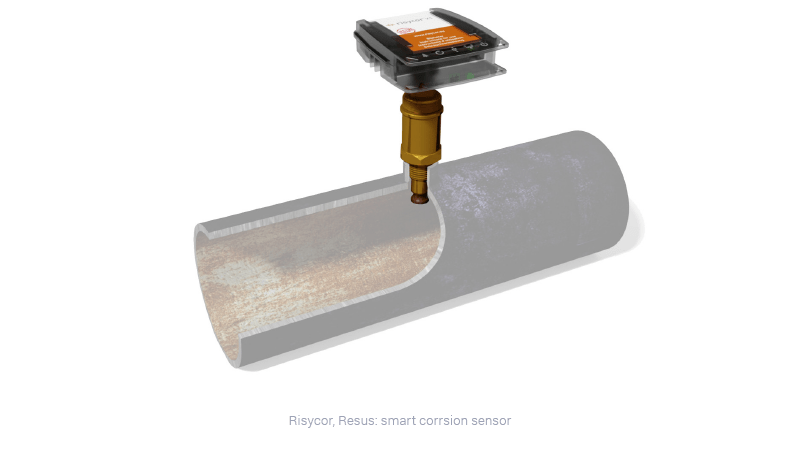 Constant monitoring and early detection of corrosion inside the heating pipes can give vital information on the system health, prevent system breakdown and avoid extensive repair costs. Verhaert developed and optimized a sensor principle that's able to measure the corrosion level. The sensor is mounted into the water flow via a T-coupler along the heating pipe circuit. The tip of the sensor contains a small, thin steel plate (approximately 100µm thick). The thickness of this plate is monitored through Eddy currents. The water in the heating pipe will corrode the thin plate, hence changing its thickness. By monitoring the change in thickness of the thin plate, a reliable prediction of the corrosion status of the whole water piping circuit can be made. This has been proven by extensive testing under various conditions. An advanced signal processing algorithm allows for a threshold to be set to give an early warning when corrosion level becomes a concern. This alarm triggers a contact or can be sent to a monitoring system. Verhaert designed a unique, stable measurement system with low power consumption and long-time stability. Furthermore, we developed the mechanical parts and designed a hermetic seal that withstands the large temperature variations under higher pressure. Verhaert came up with a solution that is a smart combination of optical technology (custom developed lens system, carefully selected led light source and modulation), analog signal interface and advanced signal processing. By tackling the job-to-be-done on different fronts concurrently, Verhaert was able to meet all requirements. 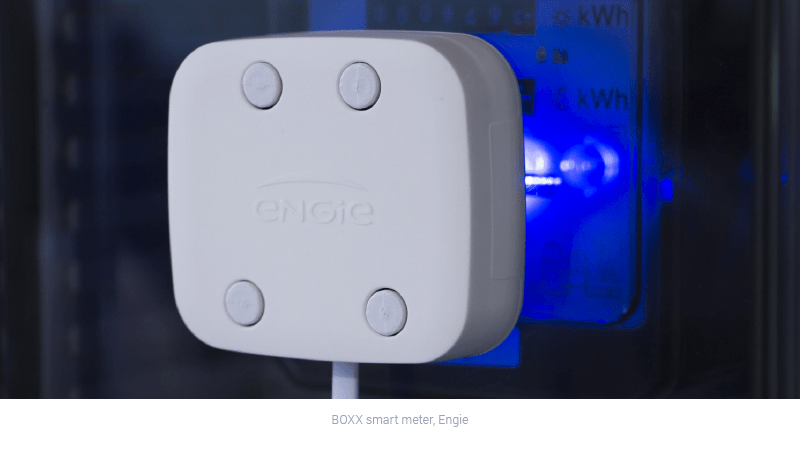 The energy sensor is currently on the market with a steadily growing installed base. Customer feedback confirms that the sensor can be installed very easily and works reliable in almost every situation. 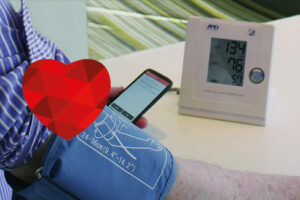 The Smartbeat project aims to monitor people with increased risk of heart failure remotely. The project aims to continuously monitor aging people with increased risk of heart failure.